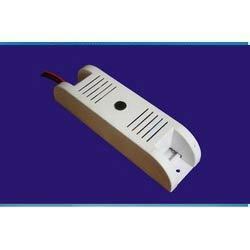 Electronic Switches (I) Pvt.Ltd. 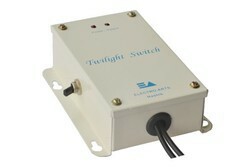 offers automatic light controllers like twilight switch, twilight timers or it is also called as day night switch. It automatically ON the lights in the evening and OFF the lights in the morning for energy saving and builsing automation purpose. Usage/Application Day-Night application. 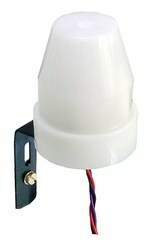 Used for Automatic ON & OFF of lights depending on Luminance light. Bulbs / Tube Light / CFL are kept ON during the night to keep the surrounding area lighted. It is essential as lighted area offers security and mental relief. However in most places such lights are often kept ON even after day break and are switched OFF only when somebody notices them resulting in wastage of electricity and correspondingly higher costs. Also it is noticed that lights are not made ON even in the evening after dark as no one is available. Electro-Arts now offers a simple, versatile as well as cost and energy efficient solution to this problem. Twilight Switch offered by Electro-Arts switches the lights ON only when they are actually required. We are an incomparable name in offering a superior quality Twilight Switch. In sync with the standards of industry, this twilight switch is developed by our highly qualified professionals using optimum quality raw material. The offered twilight switch is perfect for automatic switching of lights at evening and switched off in the morning. Our valuable customers can avail this twilight switch in bulk quantity at competitive rates from us. As a flourishing industry, we are instrumental in offering a high quality range of Twilight Switch 3 Wire. The offered product is simple, versatile as well as cost and energy efficient solution to this problem, for bulbs, CFL as well as tube lights. Our product is inspected on several parameters in order to deliver defect free range. Additionally, this product is accessible in various specifications as per precise requirement of clients at reasonable prices. We are amongst the leading industries in the domain, engaged in offering premium quality Twilight Timer that is available for automatic switching of lights. This twilight timer is labor & power saving device which has wide applications in factories, bungalows, houses, buildings & offices. Offered twilight timer is accessible in numerous specifications so as to meet the demands of customers. Besides, this twilight timer is stringently tested on various quality parameters to ensure its defect free range. Sensitivity Adj : Provided inside the unit. and are switched OFF automatically at mid night when there is no one to look at them. Hence lights remain ON only when they are actually required. Lights in the compound/premises of apartments/factories/gardens/ buildings can be put on in the evening and can be put off at midnight automatically. You can make any electrical appliance ( such as Motor, Pump, Heater, Lights, Fountain, AC, Display boards, etc;) ON in the evening and keep it ON for desired time. Unit will make the appliance OFF automatically after the set time is over. This will be repeated daily.